The use of SEO and keyword promotion to boost your page ranking in Google is critical if you want to reach people performing organic searches. Defining your keywords based on what is available and within your price range is one of the very first tasks in your SEO strategy. OK …But what keywords do you use? …. And what does this all really mean?? Think of keywords as seats in a theater. Everyone wants the best seats to see the show. In terms of marketing/SEO, everyone wants the bests “Seats” in order to be the most visible to potential customers. For this reason, the best keywords are always the most expensive. Large companies that have sizable marketing budgets allocate significant amounts of money on keyword promotion using Google AdWords. Smaller companies, therefore, need to find the next-best set of keywords, which offer enough exposure to the audience but without the burden of having steep competition. Below are some helpful ideas you can use to find these unique keywords and next steps to take. A buyer persona is a generalized image of your potential customer. You can use this general image to better understand what their interests are, how they prefer to search for products and what search terms they might use in Google. For example, if you are selling children’s toys made of eco-friendly materials, your buyer persona might be: mother or father, between 25 and 45, works long hours and needs to find safe toys for children in the most hassle-free manner. Once you understand how your potential customer thinks, you will come up with the kind of search terms they might use. Analytical data from your website is another source of inspiration for keywords. Google Webmaster Tools can show you the exact terms for the organic traffic you have on your website. These are the words people typed in Google search when they first landed on your website. Paying close attention to this can help you discover trends in searching behavior. 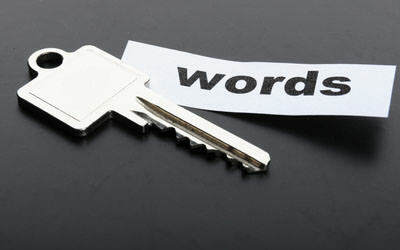 After creating a small list of potential basic keywords, it is time to build your final list. It is important at this stage to not stop at basic single keywords but to build full phrases with your identified keywords. The reason for this is the more common the words are, the more difficult it is to rank in Google. When consumers search on Google, they use full phrases also called long-tail keywords. For example, if you were searching for shoes, you would probably not simply type “shoes” in Google search. You most likely would try something like “Ladies’ classic evening shoes”, or “Men’s business shoes”, or even something more specific, such as “Red patent leather women’s stiletto shoes”. All these are long-tail keywords. When you use long-tail keywords you will have a better chance of ranking higher in Google search results than simply for “Shoes”. Once you have a definite list of keywords, you’ll need to classify them by family and category. It’s important to have a specific set of keywords for each page of your website and for each category of products. This clear separation by tables will be very helpful once you start promoting the keywords through social media ads, directory descriptions or Google AdWords. Last, but not least, remember to focus on one main keyword for each page of your website. Although it is tempting to rank for as many keywords as you can, don’t do it. Stick with the topic of the page. Overstuffing your content with keywords will actually hurt your Google page ranking. In this case, less is more.